On a LIVE TV Show on Saudi TV Al Majd a Saudi Mufti in response to a callers questions stated the following quote Allegiance of Yazid Ibn Muawiya was shari (legitimate) according to the sharia which was taken at the time of his father Muawiya and people had accepted and surrendered to it. But after Muawiya died, Hassan and Husain Ibn Ali and Ibn Zubair withheld their allegiances. Husain and Ibn Zubair In their decision of not giving their allegiance were wrong. Because allegiance to Yazid was legitimate and was taken during his fathers life Muawiya and were witnessed by the people. But whatever Allah makes destiny is in that Hakeem and Aleem. But after all we ask Allah to be happy with Husain and request Allah for his forgiveness. Why we have to mention this whatever mistake he made he is responsible for that Sunnis Love Imam Hussain and These Saudis Love Yazid - Arabic - Listen to this monkey who is justifying the most corrupt ruler and a rebel to the Islam. [06 Aug 2012] Saudi Sunnis Shias seek democracy Hisham Jaber - English Protesters have held a demonstration against the repressive regime of Al Saud in Tarout Island of Saudi Arabia. The demonstrators on Sunday condemned the recent killing of a teenager by the Saudi police. The protesters in Tarout also expressed solidarity with prominent detained Shia cleric Sheikh Nemr al-Nemr, who was attacked, injured and arrested by the security forces of the Al Saud regime while driving from a farm to his house in Qatif on July 8. However, the demonstrations have turned into protests against the Al Saud regime, especially since November 2011, when Saudi security forces killed five protesters and injured many others in the Eastern Province. According to Human Rights Watch, the Saudi regime "routinely represses expression critical of the government." Press TV has conducted an interview with Hisham Jaber, director of the Middle East Studies Center, from Beirut, to further discuss the issue. 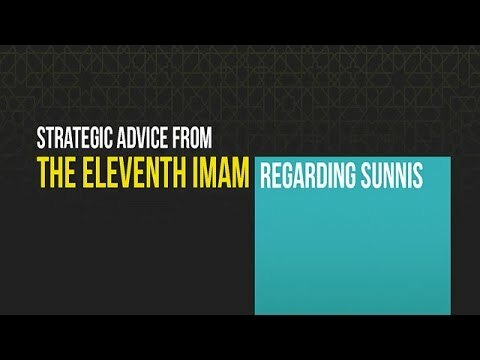 How do we deal with Sunnis? Should we agree to disagree and go our separate ways? Or do we have some other responsibility? Let\\\'s seek guidance from the hadith of Imam Askari (a). This is the 20th BISKIT! 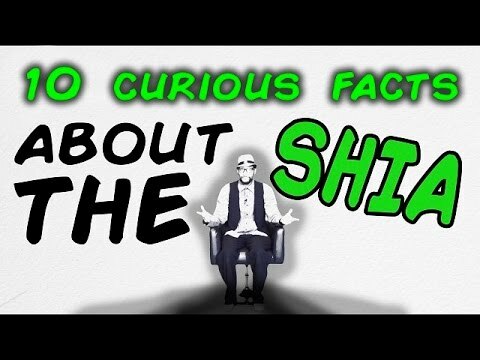 In episode 19, we discussed 10 misconceptions about Shia Islam... well, here\'s 10 things about the Deen which are true! So far, we\'ve engaged with atheists, Christians, Sunnis and Shias, explaining key concepts of the religion in a contemporary way gaining tens of thousands of views world-wide... and we plan to make many more with the help of Allah! Stay tuned inshallah. There Is a Time & Place for Everything | Shaykh Usama Abdulghani Even among best friends, there are certain things which ought not to be said even if they may be considered as the truth. Similarly, among the Muslim Ummah, there are many academic points which may be considered as the truth by certain circles - this does not mean that such things ought to be blurted out at the risk of breaking ties and creating discord. 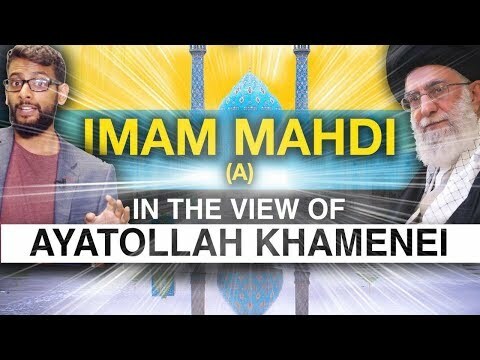 The deviant brand of #BritishShiaism, which is spearheaded by personalities like Yassir Habib, Mujtaba Shirazi, Tawhidi and others does not in any way represent the majority of Shia Muslims. The reality is that while the majority of Shia Muslims do have a different understanding to Sunnis when it comes to historical figures, most Shia Muslims have the common sense to avoid expressing such sentiments which will brew hatred. Most Muslims, both Sunni and Shia alike, want unity despite their differences - which are small in comparison to the vast similarities shared by the two Islamic Schools of Thought. Muslims in Brussels are still mourning the death of an imam who died of suffocation a couple of days ago. The 46-year-old imam, Abdallah Dadou, was in this Shia mosque to lead an evening prayer when a man came in and set the place on fire after spreading flammable liquid. Apart from being sad, Muslims here are also shocked by the attack. According to the police, the suspect, now in custody, identified himself a Salafi. Salafi extremists have always tried to put a rift between Sunnis and Shias but worshippers here say Sunnis and Shias have never had any problems living together in this country. Experts agree that this attack does not represent reality. Semsettin Ugurlu is the president of the Muslim Executive of Belgium [shot of him]. He says he has never seen anything but good relationships between the two religious groups. The official motivations for the attack are still under investigation. But Ugurlu says there is a lesson to be learned and a question to be answered: what led the attacker to do this? Was he influenced by certain books or by things he read on the Internet? There are still no answers. The only reality for now is the shock and sorrow of Muslims - here in Brussels and in the rest of the country. As the worshippers behind me mourn the death of the imam, they emphasize that Shiite and Sunni Muslims have always lived in peace together here in Belgium. They also say Europe needs to make sure that such a crime will not happen again.